This post is dedicated to John James Audubon on his 226th birthday! As a child I remember reading his story and my fascination with birds started with his bird prints. I just loved them, and still do; the stylized renderings and the staged interactions with prey, elegant, and sometimes humorous. 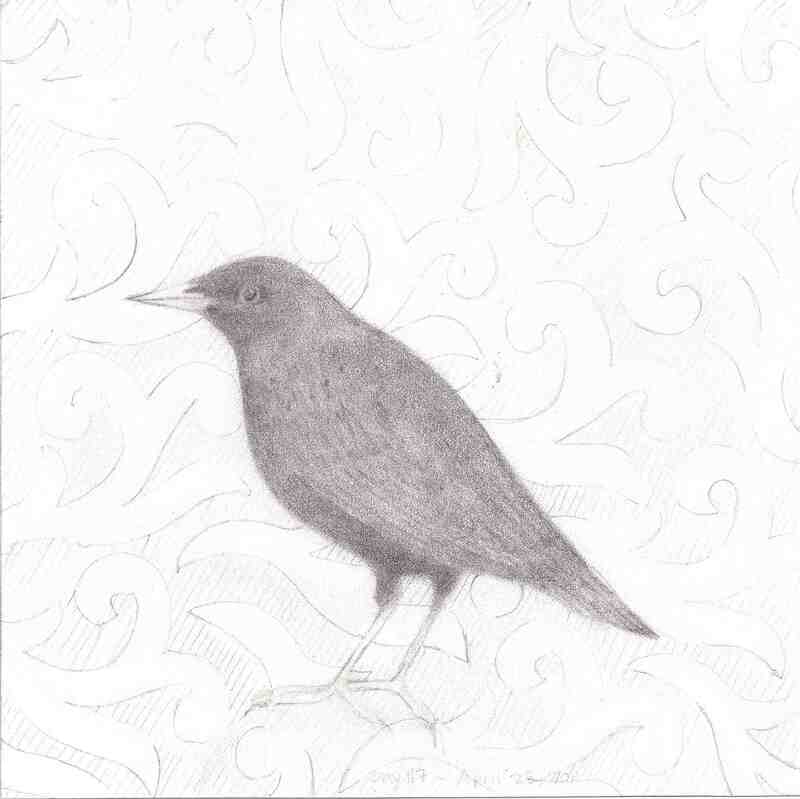 Gallery | This entry was posted in Art, art and birds, Dawn Henning, drawing, Sketch and tagged Art, Artist, Audubon, bird, Brooklyn, Brooklyn Blogger, Dawn Henning, postaday2011, sketch, Starling. Bookmark the permalink. I came to see if you had done any starlings, and was not disappointed.